How do Thai retailers survive and adapt to e-commerce era? Some Thai retailers are banking on social commerce, on platforms like Facebook, Instagram and LINE. Customers just need to choose the products, transfer the payment, provide address and wait for shipment - done! The trembling news of Warren Buffett selling off his Walmart shares earlier this year has hit retail industry tremendously. This follows his revelation back in 2014 when he admitted investing in Tesco, the largest Britain retailer was a "huge mistake". Is this a vote of no confidence on retail vs Amazon and other e-commerce players? With my previous years of experience pioneering online retail business for big retailers in Thailand, I would like to share my perspectives looking back at the past, and analyzing the present challenges of Thai retail industry. In the past, Walmart and other market analysts overlooked e-commerce potential as online was just a tiny pie of Walmart's business. It was the same with Thai retailers (and possibly all over the world) that the retail top executives didn't feel the impact of e-commerce. Even with e-commerce business and infrastructure growing rapidly in the past few years, many retailers were still taking e-commerce lightly, or simply didn't adapt fast to the market changes. Walmart had been the greatest retailer in the United States, having as many stores distributed throughout the country as 7-Eleven outlets in Thailand. The thing is, Walmart store size is similar to Tesco Lotus's size in Thailand. Just imagine Walmart has as many 7-Eleven stores with the size of Tesco Lotus! Back then, consumers used to drive a distance to the big stores, buy a large volume of products (especially groceries, FMCG) with lower prices and store them throughout a week or more. This "buy-in-advance" mindset also means paying in advance, with the risk of not eventually consuming all the products being bought. This consumer behaviour has changed over the years as we might only buy and pay for what's enough, besides getting fresher food or products. 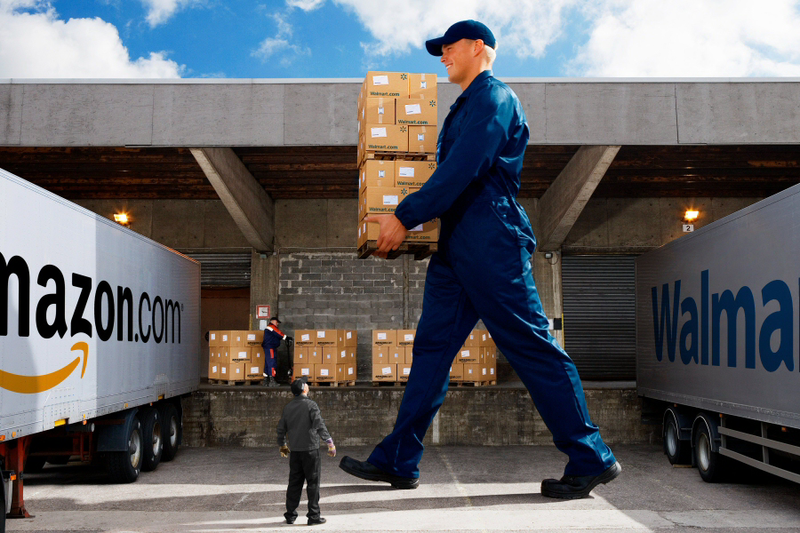 This is one of the reasons why retailers around the world are scaling down their store space. Buying in a smaller volume, and convenience is the key for consumers, be it online or offline. Walmart had to close some stores when its market cap started to fallen, as opposed to Amazon's constant growth in the US. Even if we combine the shares of many retailers in the likes of Walmart, Costco, Target, the aggregated shares are still smaller than the market cap of Amazon alone. The shift of power from Walmart to Amazon, has all happened within the span of just 7 years! Did you know that Thai retailers are actually quite strong? Tesco Lotus in Thailand is one of the most profitable, if not the most, among all Tesco's presences in the world. 7-Eleven meanwhile ranks third in the world in terms of the number of outlets and tops the chart of footfalls. Central Group, the retail conglomerate who owns numerous shopping malls and department stores, has been acquiring retail businesses from Italy, Denmark and more recently Zalora Thailand. However, most Thai retailers are adopting e-commerce in a lightweight manner. For those who have embarked e-commerce, the online sales are just too insignificant compared to offline sales, to the extent that online revenue might not be enough to cover the electricity bill of their retail stores. Some Thai retailers are banking on social commerce, on platforms like Facebook, Instagram and LINE. Customers just need to choose the products, transfer the payment, provide address and wait for shipment - done! This is easier compared to apply for membership, input credit card details which can be quite complicated. Therefore, even the large retailers open the store frivolously on social platforms like LINE, instead of implementing serious e-commerce strategy. Moreover, most of the larger e-commerce players in Thailand are facing continuous losses. This is partly contributed by the ripple effect of multi-national players' presence in Thailand. I believe this happens not only in Thailand, that e-commerce is more like a "trial". There is lack of proper strategy, the perception of online sales pie is just too small, and the market sentiments of e-commerce is a losing business. Allow me to analyze the main challenges of Thai retailers adopting e-commerce. Challenge #1. Cannibalization: Online price is generally lowered so the profit margin is no longer the same with pre-online era. The traditional channels (from store operators, suppliers to distributors) treat e-commerce as an "enemy".The fear of cannibalization happens within the organization, which is challenging for newly setup e-commerce units to be aligned with other departments especially those who take care of traditional sales channels. Challenge #2. The Silo mentality: Retailers used to separate the portfolio and departments by function, a bit similar to working in a factory. This method of management is efficient for traditional retail to optimize the operation cost but will it work now? Customer behaviours, talents, new competitors are all changing rapidly so most retailers couldn't catch up. Challenge #3. "Old" IT system: Similar to above, the backend sales, IT, accounting and store system of retailers were designed for high volume, stability and economy of scale. It is a daunting task for the old systems to adapt to new requirements, new technologies - should they revamp, or implement new systems altogether? Challenge #4. Hiring talents: It is getting more competitive to source talents with e-commerce experience, especially with the hiring power of multi-national e-commerce players here. Furthermore, technology start-up scene has grown over the years so good talents might start their own business hence good hires become even more challenging. From my past experience working for a retailer spearheading its e-commerce business, here are my suggestions on how retailers can structure their online business in their organization. Suggestion #1. Direct report to the CEO: The e-commerce unit has to work closely or directly with the supreme leader of the company. This is because e-commerce business isn't all about creating a new sales channel, it's how retailers can synergize both online and offline channels to at least catch-up with the customers and (new) competitors. Suggestion #2. Independent management: On top of what has been mentioned above, it will be good for e-commerce unit to be managed independently. This is because retailers need to understand that they are now in business competition, not internal channel conflicts. Suggestion #3. Online sales volume is not the only indicator: This doesn't mean sales shouldn't be measured but revenue should be the shared goal between old and new (e-commerce) channels. You might want to think of e-commerce as an investment channel (talents, marketing budget) while old channel gets the sales and return as a whole. Suggestion #4. Make employees online savvy: Get existing employees to learn from the new hires who are familiar with online and e-commerce. The whole organization needs to understand how important digital and e-commerce is, to drive the business synergy between online and offline. In conclusion, it is vital for retailers to implement O2O or omni-channel strategy. For example, the cross-channels promotion between Central Plaza and Central.co.th, Tesco Lotus iBeacon technology etc. In a long run, retailers should innovate continuously in order to provide options to the customers. Hopefully, they don't just come for window shopping, or grab a meal, then leave and buy online somewhere else. This article is written by Parin Songpracha, Founder of Nasket, translated to English by Somprathana Amglad and edited by ecInsider. Here is the original article in Thai. 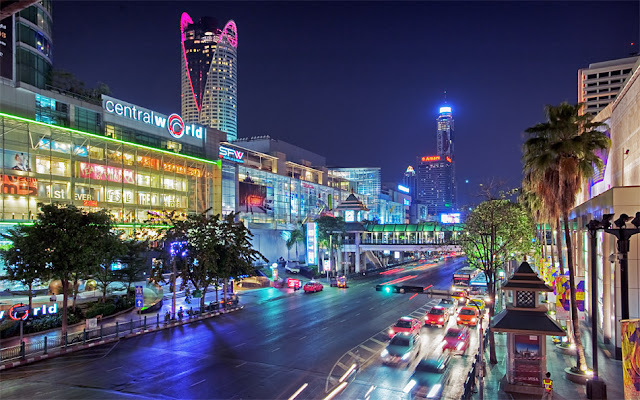 ecInsider: How do Thai retailers survive and adapt to e-commerce era?